This giveaway is now closed, but keep reading because the cookie recipe is FABULOUS. Also, the winner is announced at the end! Now that I’m a grown up, whenever I see mint M&Ms at the store my instinct is to start hoarding. My common sense, however, reins my instinct in and keeps me from spending all my money on those little minty treats. Thank goodness for practical, boring common sense. But I do still buy a few bags every year and enjoy them immensely! I’m going to switch topics completely for a minute but I promise it will all come together. Meet Candy. She’s my new Candy Apple Red KitchenAid® Artisan® Design Series 5-Quart Tilt-Head Stand Mixer with Glass Bowl. Her name is kind of a mouthful that’s why we call her Candy for short. I love her because she’s GORGEOUS. Yes, I am that shallow. I mean, that GLASS BOWL. And that SHINY RED PAINT JOB. I could stare at her all day. I have a white professional series KitchenAid mixer that Nate gave to me years ago. Old trusty is still around but has been relegated to the shelf in the garage in favor of the younger, hotter model. I told you I was shallow. But I do love how Candy works, too. She’s much quieter and, oh, that glass bowl. Back to M&Ms (are you experiencing blog whiplash yet?). I really wanted to make chocolate cookies this week with mint M&Ms. Most chocolate cookies fall a little flat and I wanted something that could stand up to the M&Ms, both in shape and flavor. Then my friend Irvin shared his recipe for Chocolate Crackle Cookies last week and I knew it was the cookie recipe I had been looking for all my life. Well, all my week, at least. Wouldn’t you like to make those cookies in a candy apple red artisan stand mixer with a glass bowl? I mean, the way the chocolate mixes with the butter, it just looks so pretty through that glass! One of you unbelievably lucky people is going to win a Candy Apple Red KitchenAid® Artisan® Design Series 5-Quart Tilt-Head Stand Mixer with Glass Bowl (retail value $399.99), just like mine! WOOHOO! Simply leave a comment, any comment, on this post! That’s it! The randomly-selected winner was comment #168 Itzia – one of her bonus entries got her the prize, but her original comment was, “I love anything with mint. Yum!” Well, Itzia will love these cookies AND her beautiful new mixer! Congrats! I slightly adapted this recipe from Irvin Lin at Eat the Love. Irvin’s original Chocolate Crackle Cookie Recipe is wonderful, with a great technique for making the powdered sugar coating especially white and pretty. The ingredients for the cookie base are exactly like Irvin’s recipe, but I change up the technique a bit for my M&M purposes. If you are using a block of bittersweet chocolate, roughly chop it. I used Guittard’s bittersweet chocolate chips (63% cacao). Place chocolate in a microwave-safe bowl and microwave 30 seconds at a time, stirring after each 30 seconds, until chocolate is melted. Set aside. Cream butter, sugar, baking powder and salt in a stand mixer with the paddle attachment. Beat until ingredients are of a paste consistency. Add the eggs, one at a time, beating thoroughly after each egg. Beat in the vanilla. Add melted chocolate and beat until just mixed but thoroughly combined. Sift cocoa powder over dough then beat until mixed. Add milk and beat until mixed. Add the flour and beat until just mixed but fully incorporated. Stir in M&Ms by hand with a strong spoon. Place a piece of waxed or parchment paper on a large cookie sheet. Form cookie dough balls (with your hands or a scoop – I used my medium-sized scoop, which is about 2 tablespoons). Place cookie dough balls on the prepared cookie sheet and freeze for 1 hour. At this point you can either bake the cookies or store the dough until later (for storing, place the cookie dough balls in a large ziploc bag and store in the fridge or freezer). Preheat oven to 350ËšF and line a cookie sheet with parchment paper or a silpat. Roll cookie dough balls in granulated sugar, coating well. Place on cookie sheet and bake for about 13 minutes, until cookies are just set and are starting to “crackle.” Cool on cookie sheet for about 10 minutes then finish cooling on a cooling rack. Store in an airtight container. Big thank you to KitchenAid for hosting this giveaway! I received a mixer from KitchenAid but all opinions are 100% my own. Whoa you had me at Candy. What? I never followed you on Pinterest. Now, I do! I need to make some cookies! I “liked” Kitchen Aid on Facebook and sitting nice and pretty on my kitchen counter. And now I get to follow Kitchen Aid on Pinterest to! Thank you for hosting such a great give-away! She is gorgeous! And I have a red-themed kitchen. So it would be perfect! A candy apple red KitchenAid mixer??? I’m all in! I follow this week for dinner on pinterest. I like kitchen aid on Facebook. I’m a sucker for shiny red anything! And, you’re right, that glass bowl is awesome! Can’t wait to try this recipe. Love mint m&m’s. Of all the things you’ve given away, THIS is the coolest. Mint and chocolate, nothing better! I like KitchenAid on Facebook! My brother really wants one of these! The cookies look great. I love mint. Hooray for M&M’S(insert small R for trademarking purposes) and Hooray for Kitchenaid – especially that glass bowl! I want that SO bad, Jane!!! It would look great with the other red items in my kitchen. Would love a mixer upgrade! I like KA on FB. I follow KA on Twitter. I follow KA on Pinterest. If I had a KitchenAid mixer I would become a baking addict! I want one so bad!!!! Please pick me. I have followed you (liked) on FB for a while now. Also, I think I’ll give this recipe a try…it might be the cookie gift I’m looking fr. I’d love to win this for a friend! My sister in law needs a new one!!! I like KitchenAid on FB! I LOVE Kitchenaid products! The best carrot peeler I have ever owned! I would love a new mixer!! I would love this gorgeous mixer! My dream ,is a kichen aid. Yum! And that KitchenAid is lovely! I would LOVE to make these cookies with that new beautiful red mixer! These look so richly delicious, and the mixer looks awesome! Those cookies look delicious. Great giveaway! Thanks! I liked Kitchenaid on fb too! Yummo to the M&Ms and the mixer! I would love Love LOVE to win this mixer! Merry Christmas! I follow KitchenAid on Pinterest! Started following Kitchen Aid on Pinterest! Red…looks delicious, the mixer that is. Pick me, pick me…like a red apple! I could make some delish stuff in this. Thank you for the giveaways. These cookies look delicious and the mixer is amazing! Sweet and sweet! Cookies sound yummy. I already follow and have liked you on Facebook. 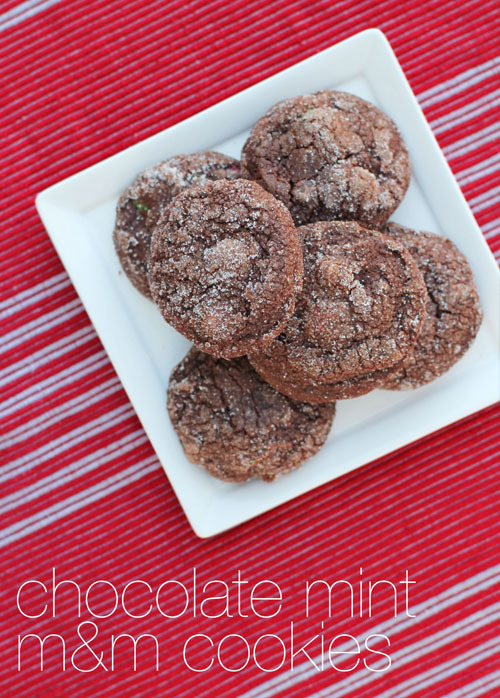 These cookies sound awesome, I love mint and chocolate anytime! Plus the chance to win a Kithhen Aid mixer, you can’t beat that! Merry Christmas to the best blogger I know!!! I’ve been dreaming of a Kitchenaid mixer forever! Wow, what a great giveaway! This thing is just beautiful! I would love to win this!! The cookies sound delish! I’ll take the red one or your old white one! I’d love a mixer for Christmas! I love anything with mint. Yum! I luv to bake & cook,but i have RA & Fibromyalgia. I need this mixer bc my hands hurt to mix. I cant afford one. Mixers – oh the cookies that could be made! This is an awesome recipe. We are going to try it tonight. These cookies look yummy…I will have to try them! Ahh! So cute! I spray painted my ancient (20+) years candy apple red a few years ago, but your version is way cooler! Been thinking about an upgrade as mine is starting to die, and of course I’d want another red one!!! I love this color, and would love this appliance! I liked Kitchenaid on facebook. I am following Kitchenaid on Twitter. I’m following Kitchenaid on Pinterest. I never use a stand mixer for things because I don’t have one! This would make baking much easier. I really need a mixer! I would love to win this for my youngest daughterer, she has wanted a kitchen–aid for….ever! thank you very much for the chance. 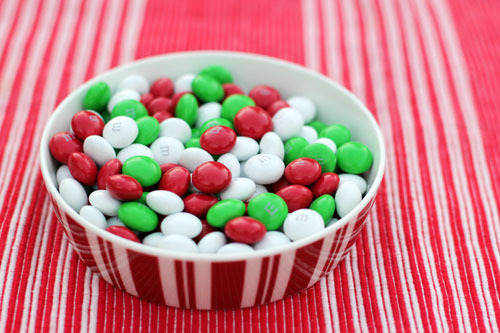 Love mint M & Ms. Love that shiny red Kitchenaid and would love to have one. I liked KitchenAid on FB. Oh heaven, I’d love that kitchenaid! Gurrrl! I follow you everywhere!!! Fingers crossed that I win!!! And on Twitter now too. Woot woot. What a generous giveaway- thanks! I also follow kitchenaid on twitter! I would love to have this mixer! I love the color of this mixer and I would love to have it! And I follow Kitchenaid on Pinterest, too. MMmmmmm! Chocolate and mint cookies! Yumm! I followed KitchenAid on facebook! My dream is to own a kitchenaid stand mixer some day. Thank you for the chance! I follow Kitchenaid on FB. I follow Kitchenaid on Twitter. I follow Kitchenaid on Pinterest. Yes, please! And I printed the cookie recipe too. Yum! Oh my goodness, that mixer is gorgeous!! I followed kitchenaid on pinterest. The mixer would be a game changer for making cookies this season. Soooooo pretty!! These cookies look amazing! I’m making them this weekend for a family party! Candy needs to join my new kitchen!! I follow you on Pinterest. Great boards, btw! That mixer would look swell on my countertop! I now follow KitchenAid on Twitter. I love mint! These look amazing! Chewy yet crunchy? Am I right? Thanks for the chance! I follow Kitchen-Aid on Facebook. I also like This Week for Dinner on Facebook. I want thus for my Mom! A red KitchenAid mixer! Would love to have a Kitchen-Aid mixer! I follow KitchenAid on Facebook. This is my dream mixer! Love all Kitchen Aid products, especially in Red ! I am in love with the glass bowl right now! I LOVE that Candy Apple Red color! I’ve wanted one since it came out in the 90th Anniversary model! I’ve been asking for a Kitchen Aid stand mixer for 6 years!! I would love to win this beauty!! I now follow you on Pinterest too! Delicious looking cookies! 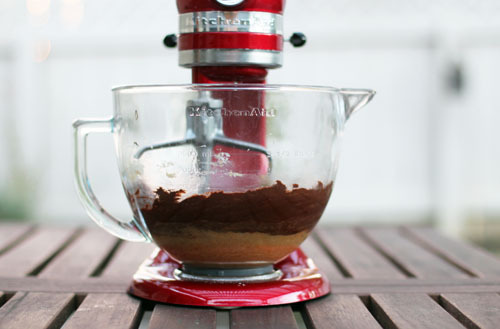 Would love a a candy apple red artisan stand mixer! I’m following KitchenAid on Twitter! I like Kitchen Aid on facebook. They’re the best! I’m following KitchenAid on Pinterest! I “like” KitchenAid on Facebook! I now follow this week for dinner too!! Love this color. My daughter is getting wedding and she wants one and this color is a wedding color! Perfect! 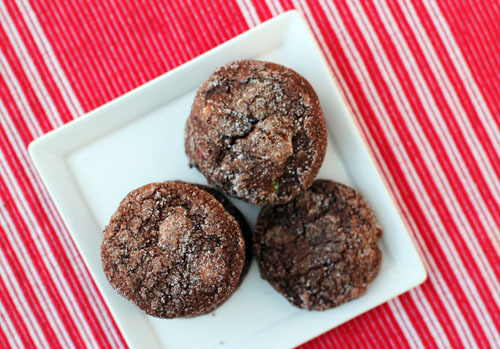 These chocolate mint cookies look amazing! I like Kitchenaid on FB. Recipe looks Good! Kitchenaid mixer looks good too! Mint M&M’s are hard to find. I went to 3 markets today to find them! Tis the season! Thank you for the opportunity to win this beautiful prize! I followed u on twitter! We love mint! Mint, mint, mint! Liked This Week for Dinner on Facebook. Glass bowls are certainly a gorgeous thing. Thank you for the giveaway and recipe it looks amazing !! Like KitchenAid, This Week for Dinner, etc. Fingers Crossed!! This would be a perfect Christmas present for….ME of course. Liked Kitchen Aid on Facebook. Ugh!! No wonder I visit the dentist so regularly! I need these in my belly! Yum! A chance to win the kitchenaid is just a bonus to this site! I will be baking these this weekend. Thanks for the recipe. Like kitchenaid on twitter, Facebook and Pinterest! Super gift! I love the red! I’ve always wanted one of these! Oh happy day….how could you not smile every time you see that in your kitchen. I would LOVE to win this, it would be an awesome upgrade to my current mixer!!! I am now following This Week for Dinner on Facebook! Already like KitchenAid on Facebook. Just liked This Week for Dinner on Facebook. I am now also follwing you on Pinterest. Never had a KitchenAid mixer. I am now following you on Twitter too. I already like KitchenAid on Facebook. I want one of these so bad I can taste it, lol. Ravishing Red….Is so my color! You do believe that…. don’t ya ! Love this! And I really wish I could have one…. These cookies sound so good!! And I neeeeeeeed a KitchenAid mixer!! chocolate & butter… my two most favorite things! those cookies look great for the holidays! That would be a great house warming/ Christmas gift for me!! These are on my Christmas cookie list for sure! What a beauty! Merry Christmas and much thanks. A KitchenAid Mixer is on my Christmas list! Thanks for the giveaway! I’d love to win! I’ve never owned a stand mixer, but I’d definitely want a KitchenAid one with a glass bowl! I already follow This Week for Dinner on Facebook. I want to win a Kitchenaid! I follow KitchenAid on Pinterest too. Already like KA on facebook! already follow KA on twitter! Thanks for all the cool giveaways! That is some sweet candy :)! Please enter me to win. Good luck everyone! Ohhh I’ve got plans for this mixer!!! I love Chocolate Crackle Cookies… and these cookies look amazing. Going to have to try them! Love the red KitchenAid mixer! Thank you for offering this to your readers! I follow you (happily) on Facebook! I Like This Week for Dinner on Facebook. 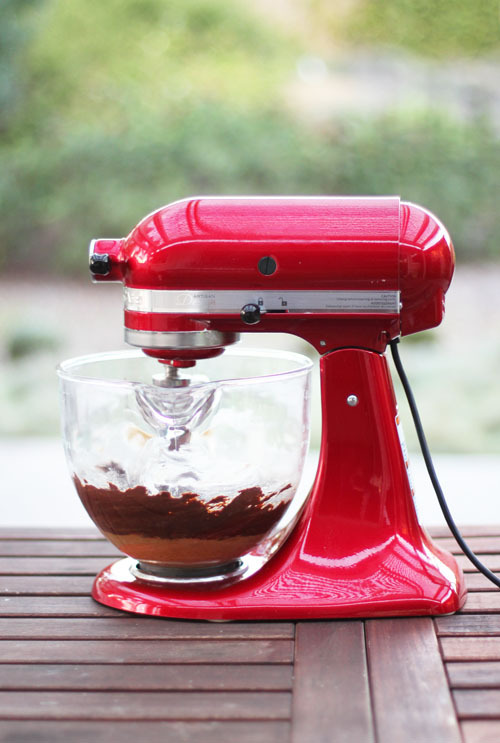 I love the gorgeous shade of red on the mixer and the glass bowl! I follow you (happily) on Twitter! …and I follow you (happily) on Pinterest! I also liked KitchenAid on Facebook. And I follow KitchenAid on Twitter, too! Loving that its christmas cookie time!!! I would love to have that kitchenaide! Me, me….chocolate and candy yum! What a nice giveaway! I follow on Facebook. Follow kitchen aide on pintrest. 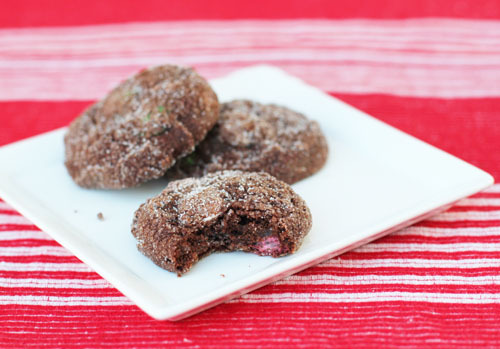 I think the kids and I will whip up a batch of these cookies for Santa! Thanks for the chance to win. Yum! These cookies look delicious. Love the red of the stand mixer, my favorite appliance color! I follow on twitter also! I love your way of writing. I would love to read your cookbook if you wrote one. Greetings from a big fan from the Netherlands! Oh. I can win Candy? Yes of course im following you on pinterest! I Love the Candy Apple Red mixer!! Following you on Pinterest & pinned your cookie recipe. And on the kitchenaid Facebook. red themed kitchen. Happy Holidays everyone!! I crush on any shiny red kitchen appliance, but that glass bowl, has pushed me to true love. She is a beauty! I must have one!! I just want a mixer! any color would do! This is a beautiful mixer! That red mixer sure would look nice in my kitchen!! The Kitchen Aid mixer would be perfect for my love of baking! I liked you on Facebook. I was just wishing for a KitchenAid. I would love a kitchenaid!! Best present ever!! I don’t have a twitter account, and I already like Kitchen Aid on Facebook, but I did just follow Kitchen Aid on Pinterest. Thank you! Those cookies sound yummy and I have wanted a kitchen aid mixer forever! They just cost so much. Would be awesome to win one! That red would really perk up our black and white kitchen. This is the exact mixer I have been dreaming of since the very first time I saw it in Candy Apple Red. Love it! Would love to win one for my mom. Ooo pick me, pick me! Thank you!!! You’re right… that is one sweet mixer! Kitchen aid always surpasses my greatest expectations. Trustworthy brand; quality products. Ok so it is baking weekend at my house and now I need M&M’s to try this!! Thanks for a lovely giveaway!! Love the glass bowl, I’ve always wanted one of those for my mixer. Such a beautiful mixer! Thanks for an opportunity to win! My mom loves m&m’s so this will be the perfect recipe to make just gonna switch it up to a gluten-free version!! Wow I’d love to win the mixer from KitchenAid as mine is on it’s last leg (fingers crossed). Happy Holiday’s – Love the blog! I follow TWFD on Pinterest! I like TWFD on Facebook! So mint flavor takes over factories just like mint plants take over gardens? Crazy! Thanks for sharing your recipes and stories. I love this kitchen-aid. Woo hoo! Oh and I’m following everywhere. I love this Kitchenaid. Looks like Santa’s sleigh. Mrs. Claus would Like on like this. The red color is amazing.. like a 1950’s hot rod! I would follow you anywhere! I have wanted a Kitchenaid forever — this would be fantastic!! If I win this KitchenAid mixer I would give it to my college daughter who has a love of cooking already….she would be so happy to have this and she would use it often…what a delight this would be to win! It’s beautiful! I agree…she is a beauty!!!! I just started following you on Pinterst! Can’t wait to see what you pin! Would love to win a “candy” of my own. I hoard the mint M&M’s and my regular grocery store didn’t have them so I went searching and found them at Target. Those M&M’s are part of our Christmas tradition. I love the fact that they need to be made in a special factory. Cool facts! I want to try this right away. This post is delightful and so are mint M&Ms. Good luck with your contest! I am so making these cookies!! Kitchenaid mixer or not! Anything with M&Ms is always delicious! This cookie recipe sounds yummy and I love KitchenAid mixers! Would love a stand mixer! Great give-away! I follow you via email. Time for some Christmas baking! Would love a red KitchenAid mixer. Like kitchen aid on Facebook! I would love a kitchen aid mixer. have never had one,, But always wanted one….. I would love to have a red KitchenAid mixer! Beautiful Stand Mixer!! Love it! I like This Week for Dinner on Facebook! I follow Kitchenaid on Twitter! I would love me a kitchenaid! I have always wanted a kitchen aid mixer!!! Thanks for the giveaway. Great giveaway! The cookies look yummy. omg I NEED a KA stand mixer!!! I love mint m&m’s too!! I have a kitchenaid obsession! There is not any other color that is as beautiful as the Candy Apple Red!!! Oh and the glass bowl! The endless possibilities that I can do and make with the gorgeous mixer! I followed you on Pinterest ! I like This Week for Dinner on Faceblook. I follow Kitchenaid on Pinteredt. I would so give this to my mom as a gift! She deserves it! Would LOVE to win!! Really want a KitchenAid Mixer! I learned how to bake on one! Oh my goodness, I would probably pee my pants if I had this to sit on my kitchen counter. wow I am # 825 …this is a beautiful mixer. I’ve always wanted this exact mixer! I’ve wanted this mixer for so long!!! I like KA on facebook! And I follow KA on twitter! I also follow KA on pinterest! I’d love to win anything RED!!! Now I follow KitchenAid on Pinterest! Following you on Pinterest! Looking for some good recipes! Candy apple red is fabulous, I need one to match my kettle! Following kitchen aid on pinterest! Fan of kitchen aid on fb! Can’t wait to make those cookies! Will be trying that recipe..i follow on Facebook. I love making culinary gifts for Christmas. I like This Week for Dinner on fb! I liked “This Week for Dinner” on FB. …and follow KitchenAid on Twitter. I also follow KitchenAid on Pinterest! This would be a great addition to Help the Start up of our Home Baking Business for a stay at home mom! I have wanted a kitchen aid mixer for years.